It’s time to hear what Microsoft’s army of engineers and designers has in mind for the future of Windows 10. 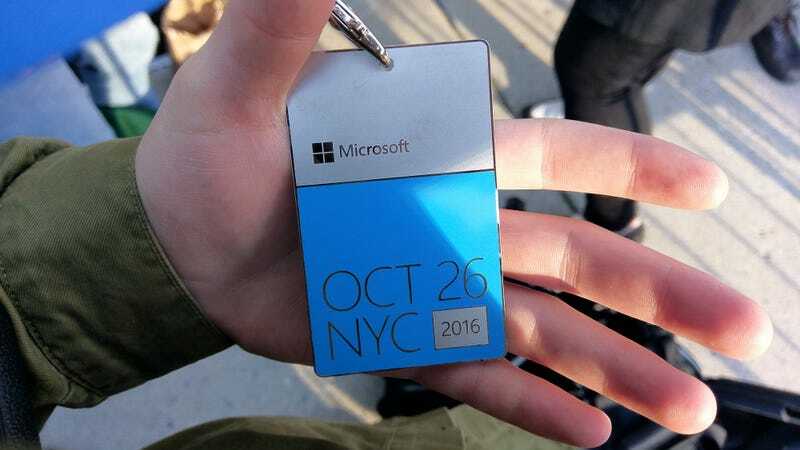 We’re expecting a few very exciting announcements from today’s fancy New York event, including a new all-in-one Surface PC. Our intrepid bloggers Alex Cranz, Christina Warren, and Nick Stango are on the scene. Follow along below for their updates as the event unfolds, and of course, you can watch it live yourself when the party kicks off at 10am ET.